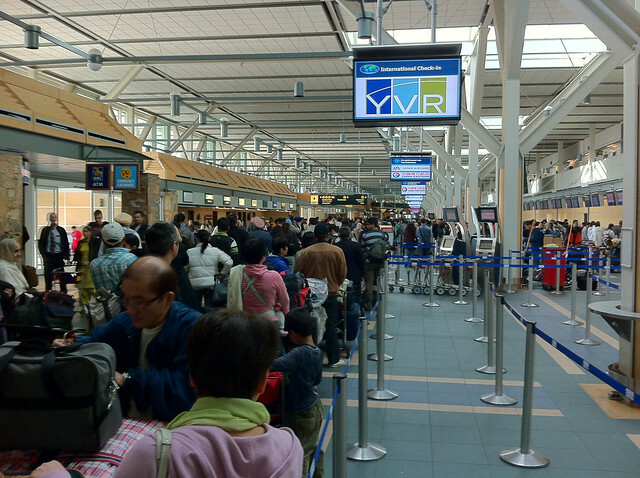 There are many things that have an adverse effect on the scheduled departure of an airplane flight. During the winter in Delhi, the most common reason is fog (when the regular stuff created by the atmosphere combines with the irregular stuff created by thousands of puffing cars and transforms the air into a reasonable facsimile of the pea soup of 1850’s London). If all had gone as planned, given the absence of apparent fog as I peer out the window, we would be getting ready for Rai (driver, most excellent) to take us to the airport. Given this line of introduction, you’ve probably guessed (correctly) that any imminent arrival of fog will have no effect whatsoever on whether we depart tonight or not. Nope! The follicles have rebelled and have pointedly refused to take part in any itinerary booked for us by the good folks at Bains Travel in Vancouver. Note: We’re now booked out on the 7th evening. The good news is that the afore-mentioned follicles, however uncooperative they are being on timing, are doing all the right things on their own schedule. There are about 12 of the little fellas coming along nicely in Brita’s ovaries with the “lead” one blowing past the goal of 14mm (that one reached 16mm last night). So, now that they’ve got their way on the timing, they are doing all the right things. Ideally, from the perspective of travelling on time, they’d have been yanked out and dumped in a petrie dish yesterday but now they’ll be making their entrance on Saturday afternoon. This will require us to descend on the Adiva clinic at about 2:30 in the afternoon and, after the prep, the procedure (about 30 mins), plus the recovery time from the general anaesthetic, we should be set free at about 8:30pm. You may ask what I’ll be doing while all this is going on and, yes, a good book will be present. However, I too have tasks to perform…on demand, I might add! I should point out that, having gone through this IVF thing twice so far, I’m quite happy to “put out” for a good cause, but this time my focus will have to be like none other! One only has to have had spent a few days coming and going through the insanity of the Adiva lobby (and this room is right off it) to understand that solitude and, hopefully, bliss will not be accompanying me on this journey. Unlike the leather sofa splendour of the “collection” room at Vancouver’s PCRM, with its spa-esque environs and gentle music wafting around , this place is all business. From a brief, and nervous, glance as we walked by the other day, it appears to have glaring fluorescent lights, various types of lab equipment…and a set of stirrups! Between that, and the propensity for anyone and everyone to walk in without any semblance of a knock, there is no question that if performance anxiety were ever to raise its ugly head, it would likely do so then. I seem to recall that East German athletes (given they were hopped up on all sorts of performance-enhancing drugs) used to gain great benefit from using creative visualization techniques while they were practising. Having had a glimpse of the terrors awaiting me, I might just give that a try…. This, by the way, is the kind of activity that goes on in the Adiva lobby (it was, actually, even more insane about 10 minutes before I took this). A vastly more important event in the past couple of days was the arrival of a new member of Percy’s family – a dog who had been at a local shelter. The poor thing had her front paws run over at some point in the past and the idiot owners just abandoned her to the streets. 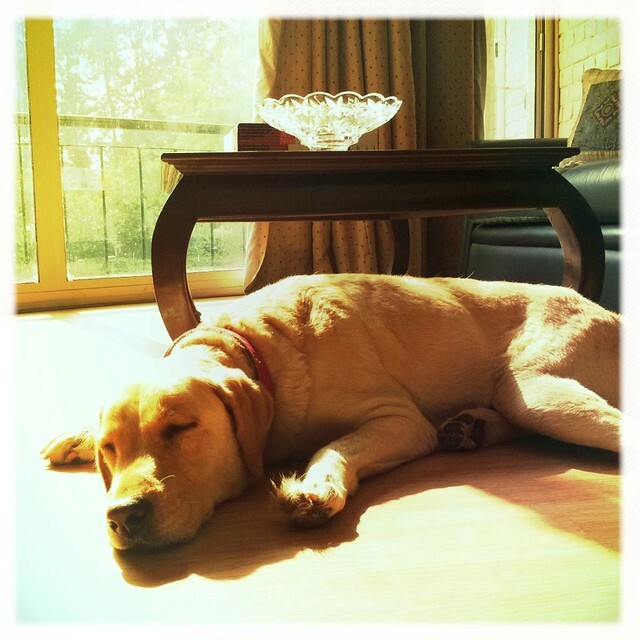 She’s a yellow lab named Zara who hobbles around on about two and a half legs (she raises one of her front ones when she runs) and spreads love in every direction. 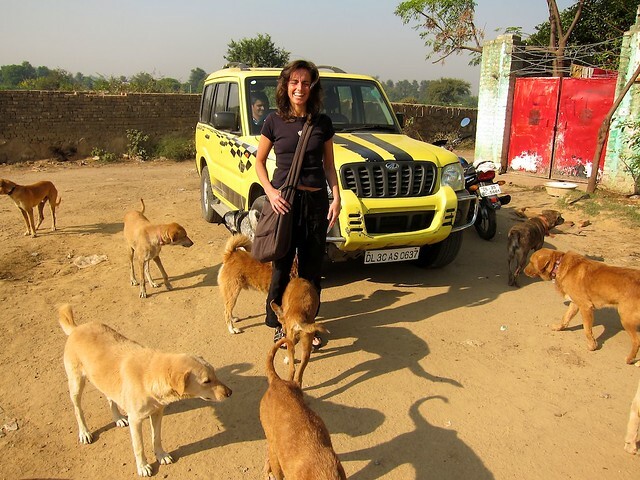 Brita and I went to pick her up at the Sai Ashram shelter down the road from Percy’s place. It’s hardly the lap of luxury but it’s paradise for any street dogs lucky enough to find their way here. We were surrounded by about 20 as soon as we hopped out of the car. We got Zara home (much to the chagrin of Sophie, the other 3-legged resident of Percy’s homestead) and she’s settled right in. She’s been to the vet three times already to get her on anti-biotics and vitamins…and is now running around with a large cone on her head to prevent her licking the wounds on her paws. Through it all she’s been incredibly easy-going and friendly. She’s gone from getting all the bad breaks to being one lucky hound – the rest of her life is going to be great! This was Zara having a nap this afternoon – before entering her cone-head phase. There’s almost always a silver-lining to plans gone awry. Sure enough, our extra few days spent in Delhi will allow us to hang out a bit longer with Percy and various other new friends…and, much to my great delight, check out an Asian/European Tour golf event going on in Delhi (the Indian Open) over the weekend. 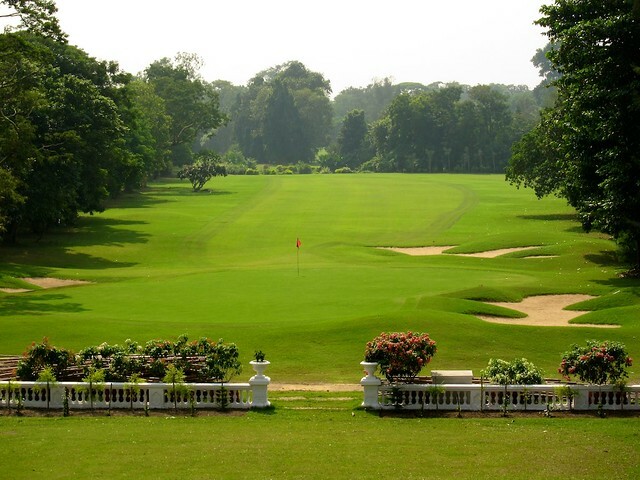 There’s even a possibility I might get a round in at the Delhi Golf Club (which is hosting the tour event) on Monday and get to experience what it’s like to play on a course already set up to host a championship. Now that should get the ego crashing to the ground even if I manage to survive my Saturday experience at Adiva! Over the years I’ve learned (sometimes painfully!) that when certain hormones are coursing through a woman’s body, it’s best to strew around the eggshells (liberal helpings, I would suggest) and tiptoe across them with extreme delicacy. Given such experience, you can imagine my consternation when advised by the good Dr. Banerjee that my job over the forthcoming 12 days was to poke my wife in the backside with a hypodermic syringe full of just those hormones – ie. a vicious circle of increasing hormones – inflict painful needle – increasing hormones – inflict painful needle – etc, etc….egad!!!! I’m pleased to report, however, that we have now passed Day 7 of such insanity, and that, for the most part, I’ve escaped relatively unscathed and that not too many eggs have been broken in the process. The particular hormone in question is FSH…which, ironically enough, is the thing that results in multiple eggs being produced. Hence the universal law of eggs neither being created nor destroyed (in the form of strewn eggshells) has been held sacrosanct…or does that universal law concern “matter”…whatever…eggs are matter too! We have another visit to the clinic tomorrow to see whether our follicular friends have grown to the hoped-for 14mm (I’m thinking of naming each of them) and to finalize the contract (which has been back and forth about 3 times and has confirmed my view that most Indians are great and easy-going with the big picture but details are often the problem). I’m sure we’ll get it done tomorrow since the clinic’s lawyer will finally be present…and it would be far too embarrassing for him not to get it right! Apparently, there are three of them stationed around the property and are required to switch positions every hour, whistling as they move to their next station. This is so none of them fall asleep on the job and, I suspect, the first fellow’s whistling serves to wake up the second one while providing evidence to those inside that they’re actually working. Oddly enough, I now seem to sleep through all the whistles after midnight. That’s probably because I’m getting good at tuning out all the other noise as well (fireworks every night, marching bands playing up a storm….it’s wedding season and one of the big centres for this is the Tivoli Gardens next door). I should point out that when I took this picture earlier this evening, given my abysmal Hindi, I think these poor fellows thought I was doing an inspection (Percy’s away in Bombay) so they insisted on blowing their whistles with great gusto (until I asked them to stop)! 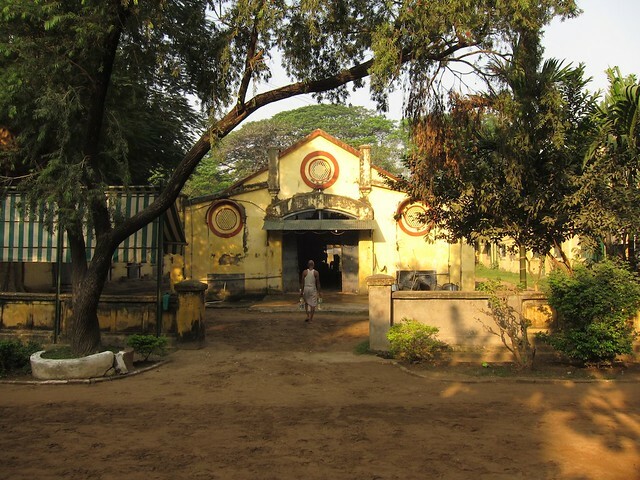 The last, but certainly not least, subject on the agenda is another reunion with an elementary school (the afore-mentioned Higgins School in Calcutta) friend. In this case, not just any old friend…but my first crush! Yup…36 years later, I finally got to see Sanober Randeria (now Sanoo Katrak) again. I was just a tad nervous because when I tracked her down via Facebook a few months ago (she lives in Columbus, Ohio), she had no idea who I was. Hah! Oh, the ego slap! Even after telling her that I was sure our Grade/Class 5 romance was mutual, she still insisted that she wasn’t sure who I was. Oh dear! 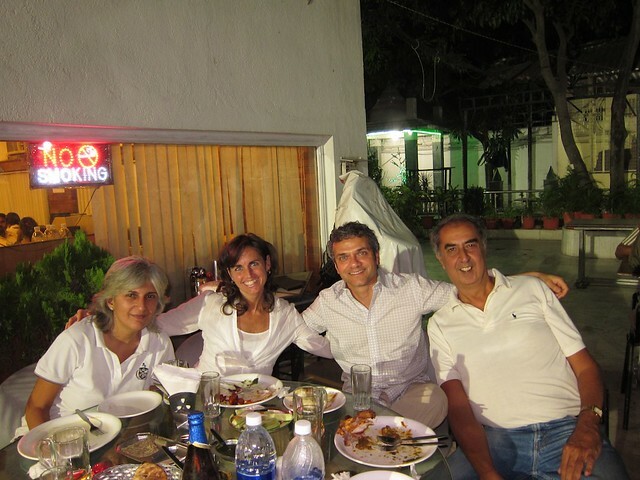 Subsequently, she claims to remember the kid with curly hair, so I’m slightly placated…I think… Anyway, it was great that she happened to come to Delhi for a friend’s son’s wedding so Brita and I met her at her hotel for dinner. It was really a lot of fun and it was so nice to catch up. See…we all got along fabulously! In fact, we got along so well that we got together again a couple of days later. We ended up in Greater Kailash 2 (GK2 to its friends) and wound up having some masala chai at this place – which held itself out as a cafe but, it turns out, doubles as a nightclub in the evening! You know you’ve got pretty comfortable with each other when you can sip chai with pole dancers lurking in the background….welcome to the Mannekin Club! Made my day…. Back to the old Hometown! What’s the old adage? You can never go home (or something like that)? Over the course of time, things change…and it’s never quite the same, or so “they” say. It’s especially tricky for those of us who started off in one part of the world and then ended up on completely the other side. Where really is home? Frankly, for me, Canada feels like home since I’ve been there since I was 11 and, given my advancing years, that comprises the vast majority of my life. 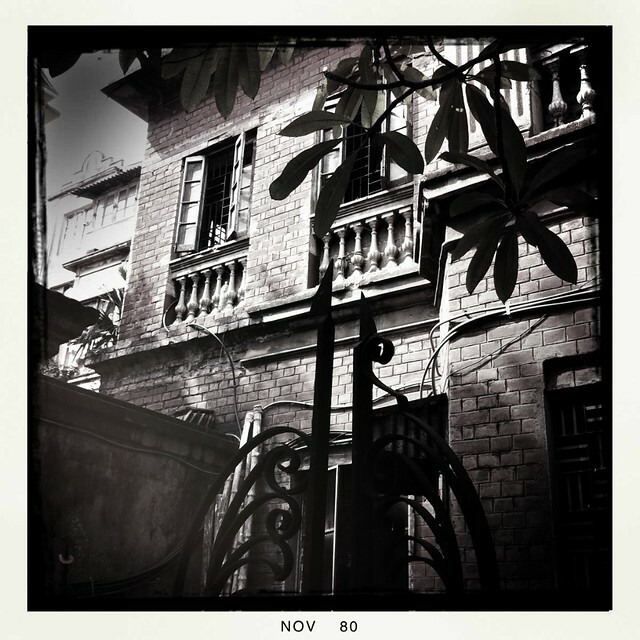 However, those early, formative years in Calcutta still ring out with vague memories of early mornings at the racecourse with my Dad and far too many smacks with the bamboo cane by Miss. Higgins at the nursery school bearing her name (I’m sure I hold the smack record!). 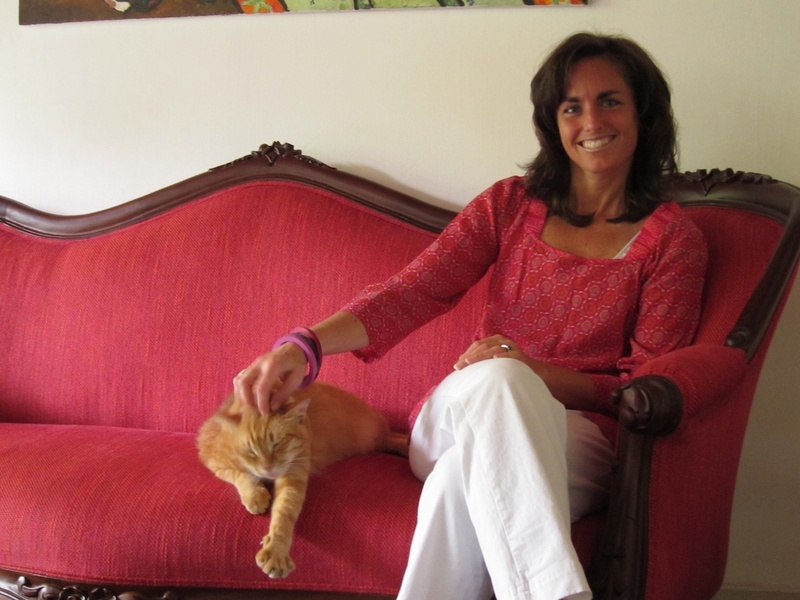 Since we’re in India for a good spell, and we have some time before the treatment starts (turns out we had more time than we thought, given the substituting surrogates), Brita and I decided it was time to pay a visit. 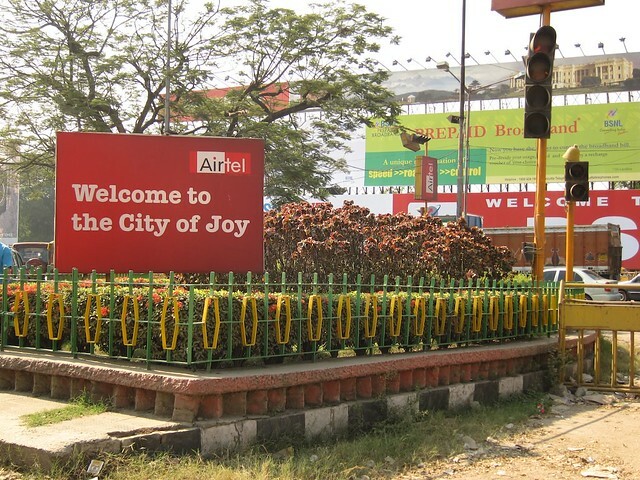 We’d visited the Calcutta airport, while flying between Bagdogra Airport (Darjeeling) and Bombay, during on our honeymoon in 2006 but that was the extent of Brita’s exposure to the city. 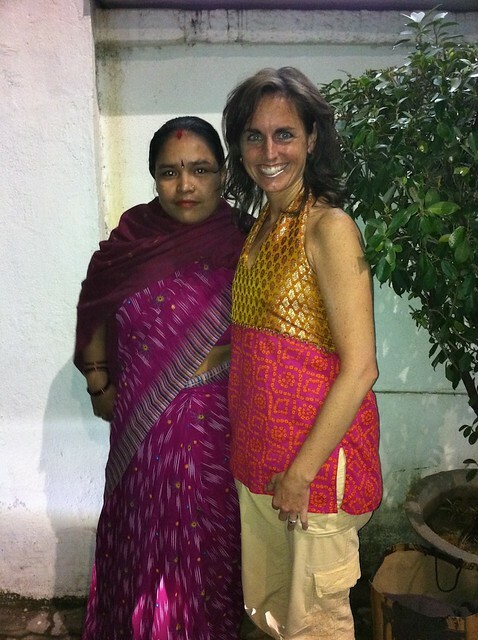 This was Brita’s third trip to India so it was high time she visited the old hometown. Fortunately, they rolled out the welcome mat (it was hard to miss as, in an exemplary urban planning move, they placed the sign precisely where the traffic bottleneck happens when leaving the airport). 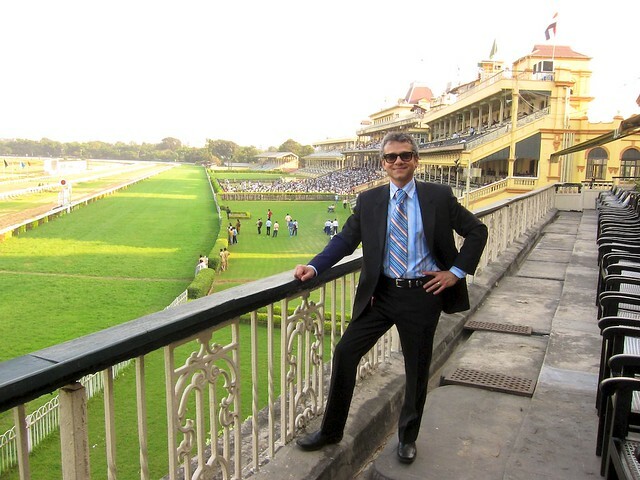 We’d caught the 6:25am flight out of Delhi because I wasn’t going to visit Calcutta without going to the races and, much to my horror, I discovered that this was the one week where there was no racing on the weekend. That meant getting into town in time to catch the Wednesday afternoon races. Only after we got there and were chatting to our gracious host ,who happened to be the current Chairman of the Royal Calcutta Turf Club (Cyrus Madan), did we find that some ex Chief Minister had just died so they’d cancelled the previous weekend’s racing and rescheduled it for the weekend we were going to be here anyway. 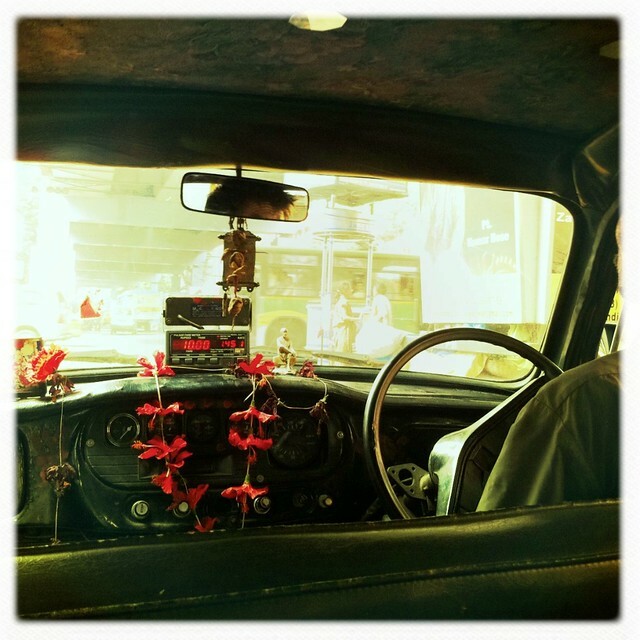 Ahh well…it’s India…. Nevertheless, it was a great afternoon at the track – I was so busy soaking up the atmosphere of the place that I didn’t bother to buy a program nor place a single bet! On top of that our new friend Gautam (moved here from San Fran) handed me a roll of the most-excellent street food ever invented…the shockingly good, Calcutta invention, the “Kathi Kebab”. If I can get one of these guys to move to Vancouver, we’d make a fortune selling these on Burrard or after the bars close! One bite and you can’t help but have a smile on your face…. The afternoon at the races should have prepared us for what was to come – overwhelming hospitality wherever we went in this city. From Cyrus (even though he was busy doing his work) taking the time to chat to us, to Gautam sharing the afore-mentioned kebab, to Ram Gupta buying us a drink 5 minutes after being introduced, to Harish & Kavitha inviting us to dinner and a city tour after chatting with us for 10 minutes…it went on and on! 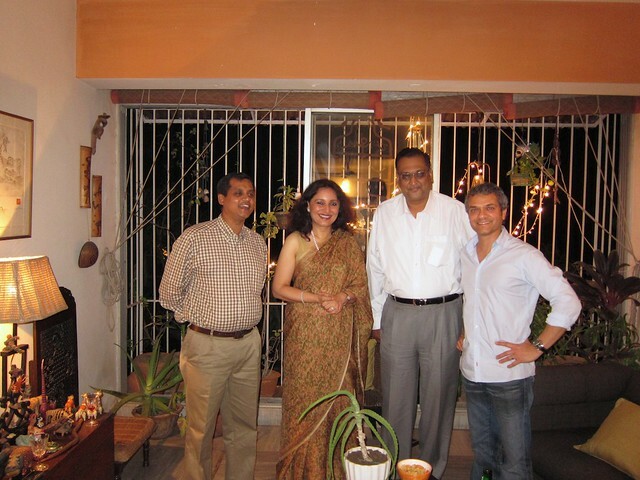 That same evening we were picked up by my old friend Aditya to be taken to dinner at his place – where two other friends I hadn’t seen in 36 years were waiting to join us. Apart from the great fun of reconnecting with people you haven’t seen since you were 11 years old, our concerns about finding things to do for the following 4 days evaporated in the space of about 10 minutes. They all wanted us to come over to their respective places, take us out for dinner, hang out during the day, etc, etc, etc….and suddenly we were worried that we couldn’t remember what we had committed to and when! This was the four of us…admittedly, looking decidedly longer in the tooth than when we last saw each other…(at least when they last saw me). 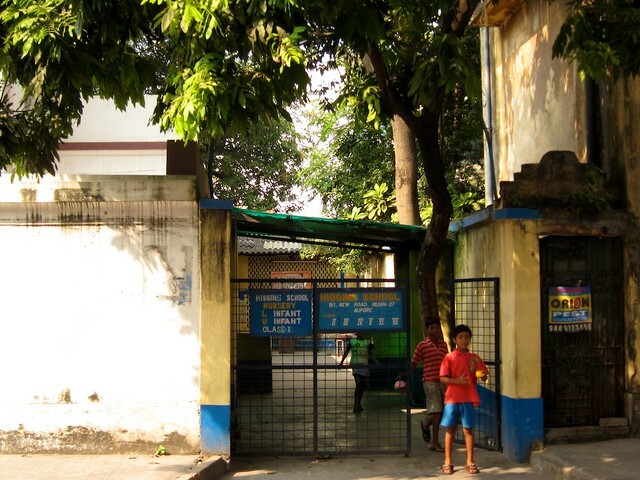 We spent our first night at the idyllic Tollygunge Club (warning – it is the usual terrible website). This place is an amazing oasis from the teeming milieu outside. You can play golf or tennis, ride a horse, swim in one of two pools, and be pummelled from head to toe while being slathered in mind-boggling amounts of oil at the Aryuvedic Spa…all in the same day if you wish. On top of all that, as a guest, you can take advantage of the club-subsidized prices in all the restaurants (seriously cheap!). Our favourite was a breakfast of “Akuri” (spicy) eggs with hot-buttered toast…ahhh…. Another reason we made sure we could get at least one night at the Tolly was that I wanted to show Brita where my family first got into horse racing. In the ’50’s and ’60’s, Tolly used to host amateur horse races (presumably starting when club members wanted to race their horses against each other). It grew into quite an organized spectacle with a racetrack encircling the grounds, a grandstand…and, of course, bookies. All of that is now gone (mainly due to land being grabbed by the city for the subway line in the 1970’s) and, what used to be a 9 hole golf course has spread itself out and grown to 18 holes. 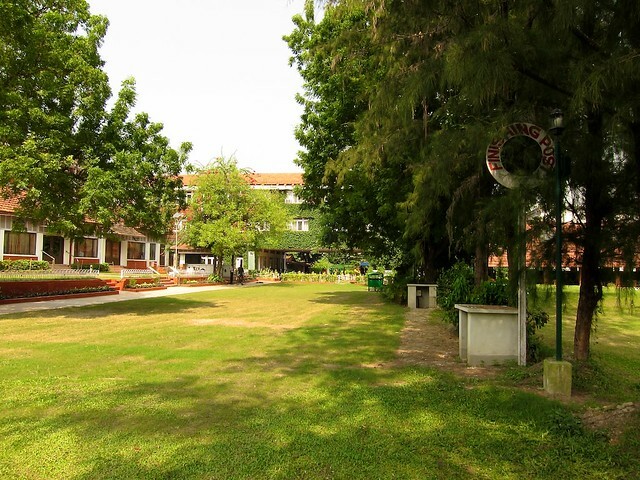 The place where the grandstand was, is now part of the hotel complex but they’ve kept the old winning post (visible in the bushes in the photo below). 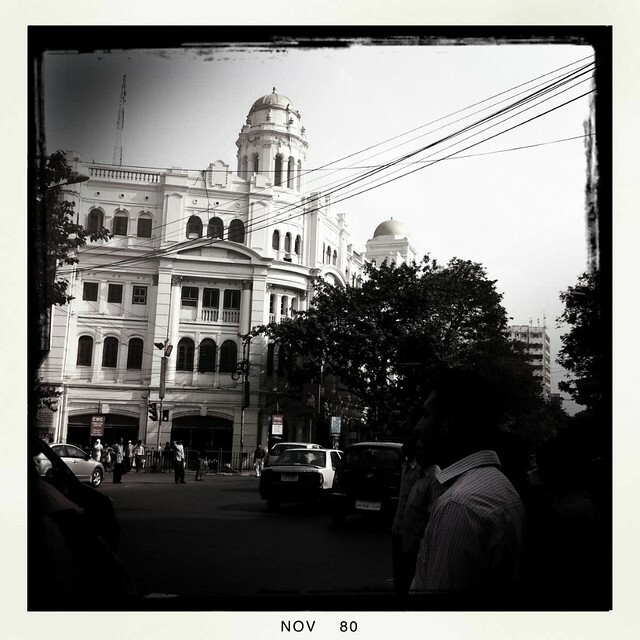 The central and southern part of Calcutta is the part I’m most familiar with, having been the area I spent the most time wandering around as a kid. The actual core of the city isn’t that big so I still have a pretty good idea how to get around. The main street for social things like restaurants and bars is Park Street, with some famous older places such as the Swiss confectioner, Flury’s, and a bar which has been around since the 1960’s (Trinca’s). Flury’s used to supply the amazing Easter Eggs my mother used to ship up to Darjeeling for me when I was in boarding school…they were hollow chocolate eggs (probably 6 inches long) filled with yet more small chocolates and covered in a fancy marzipan coating. That was heaven for a 7 year old! Like many other parts of the city, there are some great heritage buildings on Park Street (some of them could be in better shape!) from the 300 years of Brit colonial rule. Of course, the one thing I had to do (especially to re-live old memories) was to wake up at the crack of dawn and head over to the racecourse to watch the horses working out. Cyrus, being the great host that he is, picked me up at 6:15. Calcutta often has a light mist in the early mornings during the winter (combined with the usual smog) and that makes the whole place glow with the sunrise. The light, along with the sound of galloping hooves, is such a great memory for me! 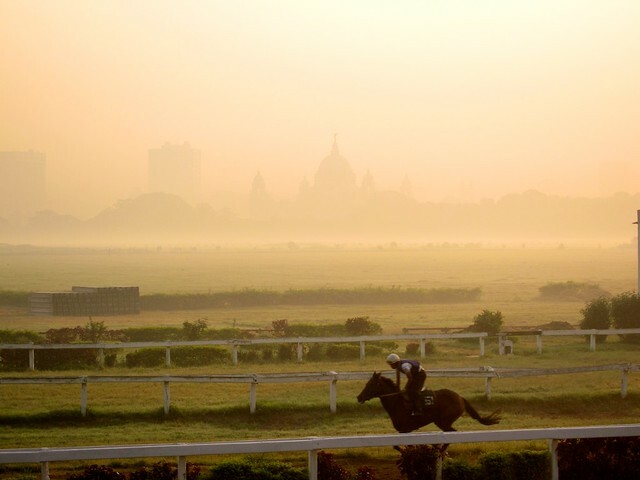 This was taken from the trainer’s stand with the Victoria Memorial (Warning! Rubbishy website #2) looming in the distance. After walking out into the area where the horses warm up before their works and chatting to various of the locals, we made our way over to where the majority of horses are stabled. Horses and grooms (called “syces”) have to be nimble of foot as they have to cross a rather busy road to get to their stables at Hastings. These have been around for a long time and have that patina that seems to come to old buildings which have seen hundreds of monsoons. I spent many great hours here as a kid – riding around on horses as they were being led about, helping to feed them (while trying to retain all ten of my fingers)…and sipping hot tea out of very environmentally-friendly mud cups! Our final dinner in Calcutta was eaten at what’s commonly referred to as a dhaba. These are usually restaurants located at truck-stops or attached to a gas station and are open 24-hours. Unlike the usual truck-stops at home (read greasy-spoons), these often have food every bit as good and fresh as you’d find in fine restaurants. New friends, Harish and Kavitha, showed us around their lovely farm near the airport (after a night-time tour of the city), then took us to a dhaba nearby. 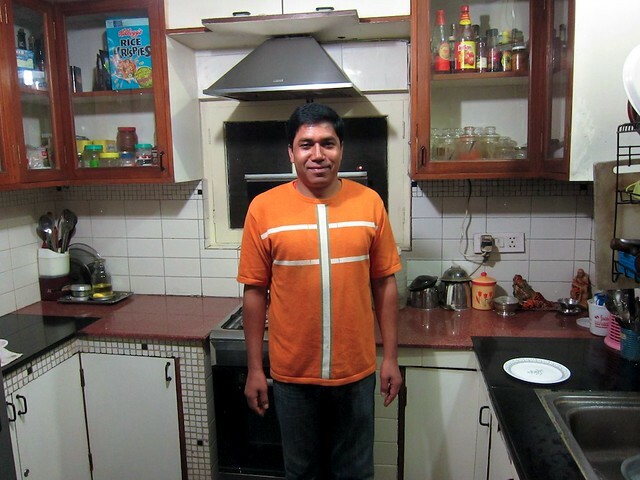 The food was amazing – kebabs, rotis, etc…fresh and hot! Definitely one of the best meals we’ve had while in India. The last, but certainly not least, trip down memory lane was to go and visit my old nursery/elementary school. Miss. Higgins (of the afore-mentioned penchant for introducing bamboo to my outstretched palm) had a school on New Road, to which I used to hike over every day. Tunna, Aditya and myself headed over to have a look on Saturday morning but, much to our chagrin, we couldn’t actually get inside the main building. At least we had a poke around the grounds (it’s amazing how much bigger you remember things from your childhood) and had a chance to reminisce about all the trouble we used to get into! It may not be the most trendy city in the country, nor the most hip, nor the commercial or political capital anymore, but, for me, Calcutta is the big city with the most soul. Between its gorgeous buildings, hospitable people, and its well-earned reputation as being the intellectual capital of the country, it’s definitely my, admittedly biased, favourite. On top of that, I love the fact that the place is flooded with thousands of Ambassador cars (mostly taxis) all scuttling about on their ancient, twisted axles, no doubt hoping that they can find a role to play in the 21st century. Yup…they’re probably right when they say you can never go home – especially after all these years. On the other hand, it makes a visit so much more rewarding! And They’re Off…Uh-Oh, Pinki Baby has been left at the start! As a young kid, some long-forgotten horse racing aficionado warned me to beware of the combination of slow horses and fast women! Clearly, I’ve taken this advice to heart because there’s no question that our adventures in surrogacy in India have now resulted in two, count ’em, two of our gestational carriers being left standing in the starting gate. In the process, my ability to make up fancy rhymes (Hee-Ha for Neha) or, more recently, cover tunes of questionable XMas songs (Santa Baby), have been severely compromised. As mentioned previously, poor Neha contracted Dengue fever while we were en route in Malaysia and yesterday we found that her substitute starter, the brilliantly named Pinki Baby, is taking too long to start her cycle (not her fault – her biology is not cooperating). So…third time lucky, let me introduce you all to Leena! Notwithstanding the delays in starting the treatment (we MAY have to extend our stay by a few days), we’re quite pleased that Leena is going to be working with us. This is, without question, a woman with the soul of a linebacker! When we were first introduced to her, we were a bit nervous. Unlike Pinki Baby (we never met Neha), there was no question of deference – she looked us straight in the eye with nary a smile…tough as nails, I thought! However wary we were about her “nary”, we didn’t have a lot of choice as waiting for Pinki Baby was a risky proposition (time-wise). So…we sucked it up and took the plunge – Leena, it is, we told Dr. Banerjee. Well…she must have had her game face on for the interview because, once she was confirmed as being in the race, she was as jolly as anyone you’d care to meet! She doesn’t speak a word of English but (working through the translator) she was pleased as punch to pose for a pic and was grinning from ear to ear (she reverted slightly to the game face during the picture taking). As far as I’m concerned, if you’re going to have a carrier entrusted with your child, this is the kind of solid, no-nonsense, knows her own mind, don’t mess with me kinda woman you want! Now, if only I could think of an appropriate limerick…. The next post will cover our 6 great days in Calcutta – a bit out of order but thought I’d better give you all the surrogacy update tout de suite! I will leave you with one of the more bizarre elements of using a local Indian mobile phone. Percy, our ever gracious host, has kindly provided us with a Nokia phone that we can charge up with minutes as and when necessary. What is very weird (God knows how to turn it off..and, I suspect, even he/she would have trouble) is that we must get a random text message from Vodafone every couple of minutes. Driving me around the bend! Here’s a sample of the profound questions received during the last hour. I’ve dubbed them (in a tribute to David Letterman) “Stupid Indian Text Tricks”. Malaysia needs to get some better PR! That is the considered opinion of Hootoksi’s dad, a superbly elegant and eloquent gentleman who you’d never guess has passed his 90th birthday. 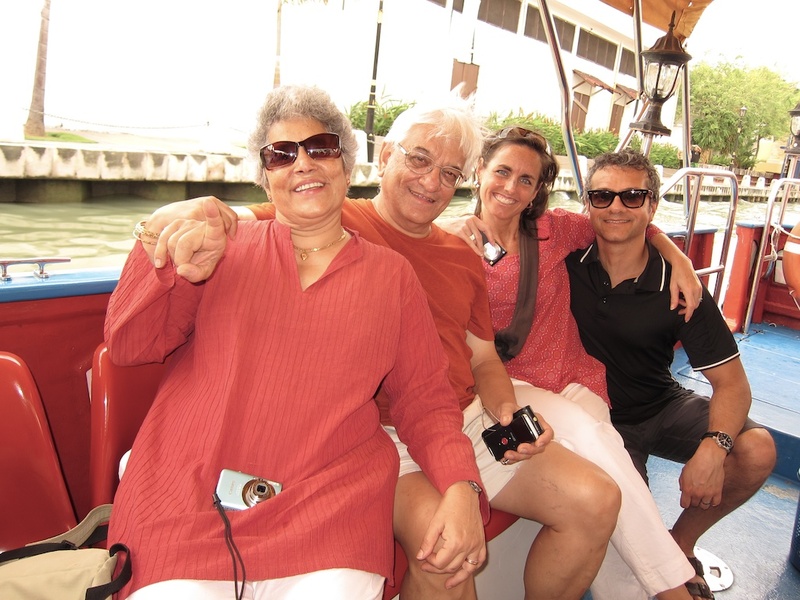 Hootoksi’s parents moved to Malaysia (from Bombay) in the 1960’s to help construct the first palm oil refinery in the country, a joint venture between the Malaysians, the Brits & the Indians. Palm oil production is a huge part of the Malaysian economy and you can see the plantations stretching for miles in the countryside around Kuala Lumpur. I may be wrong, but I think it only ranks behind tourism and crude oil in terms of a revenue generator for Malaysia. Back to the PR problem: Either the country is not on anyone’s radar at all or it’s widely believed in the West (certainly by us, before we came here) that Malaysia is an Islamic state…which, given the current hyper-sensitivity to anything combining the words “Islam” & “state”, naturally give rise to all sorts of pre-conceptions. In reality, Malaysia is a secular and open-minded country populated by a Malay (usually Muslim) majority (about 60%). The rest of the population consists of any number of other ethnic groups including Chinese, Indian (mainly Tamils), etc… You certainly see a lot of women in head scarves, some in burkas (oddly enough, usually accompanied by men in flip-flops and board shorts)…but plenty of others wearing many of the same clothes you’d see western women wearing in any city in North America. The point is no one seems to care one way or another and everyone gets on rather well. This is a very well-adjusted country and, frankly, should be one of those held up as an example of how a state containing multiple ethnicities and religions can co-exist brilliantly while creating a modern country with excellent infrastructure (eg. they’re rolling out 4G wireless broadband next week) and facilities. 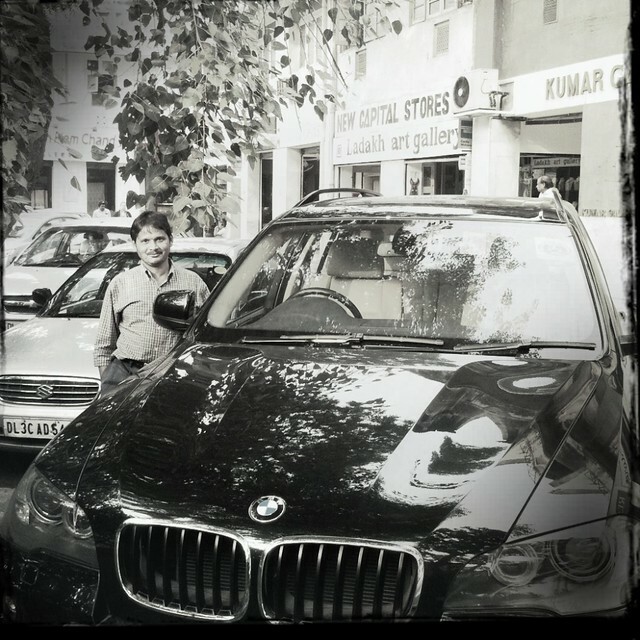 And, on top of that….I shall repeat from the previous post…they are mind-bogglingly hospitable and friendly! Secular, tolerant, modern & friendly – yup, basically Canada with better weather! If our first three days here were all about relaxation & the beach, the latter three have been about family, people and great conversations. Robert is my third cousin on my Mum’s side (thank God for the genealogy website “Geni” or we wouldn’t have had a clue whether we were third cousins or 10th cousins, four times removed). He and Hootoksi retired to Malaysia (after working for UNICEF for ages) seven years ago and barely knew anyone when they got here. It’s a testament to just how interesting and nice they are that, of the people they introduced us to, I don’t think one of them WASN’T the head of a bank, the owner of a multi-national company or a member of the Malay royal family! Seriously, all these people want them around and, after spending three awesome days with them, I can see why! 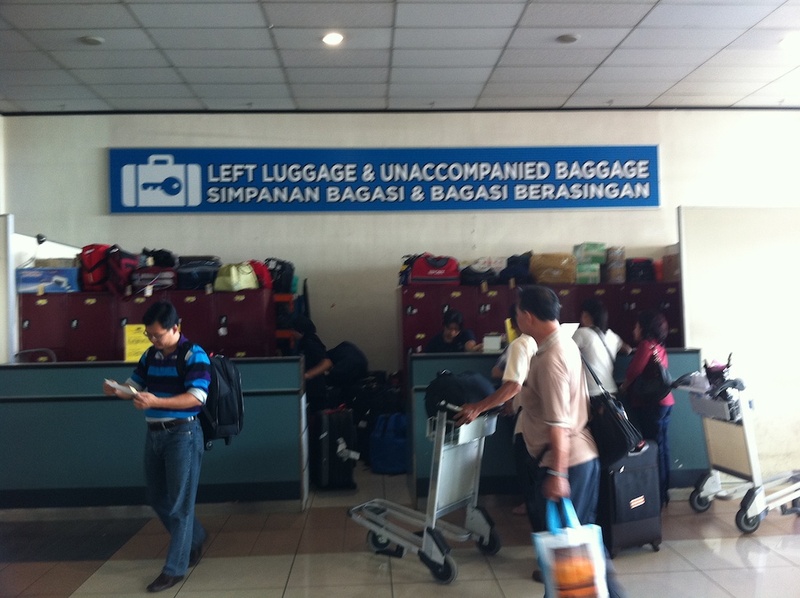 Going a bit backward in the chronology, given Brita’s worries about leaving our two bigger suitcases at the KL airport’s “Left Luggage” facility while we went up to Langkawi, it was with a wee bit of tension that we headed from our plane to the arrival section. As you can see, the facility in question is not one which might fill the weary traveller with a great deal of confidence that his various bits and bobs would still be there when we returned. However, all was karmically well and we were greeted on arrival by both our massive suitcases as well as the smiling faces of Robert & Hootoksi. The evening was spent catching up and cross-examining each other about every detail of our pasts since, third cousins notwithstanding, this was really the first time we’d actually spent a significant period together. What a great and relaxing home they’ve made in Malaysia complete with purring cats, friendly dogs, attention-deficit disorder Koi! The next few days were a combination of utter relaxation interspersed with mad rushing about! 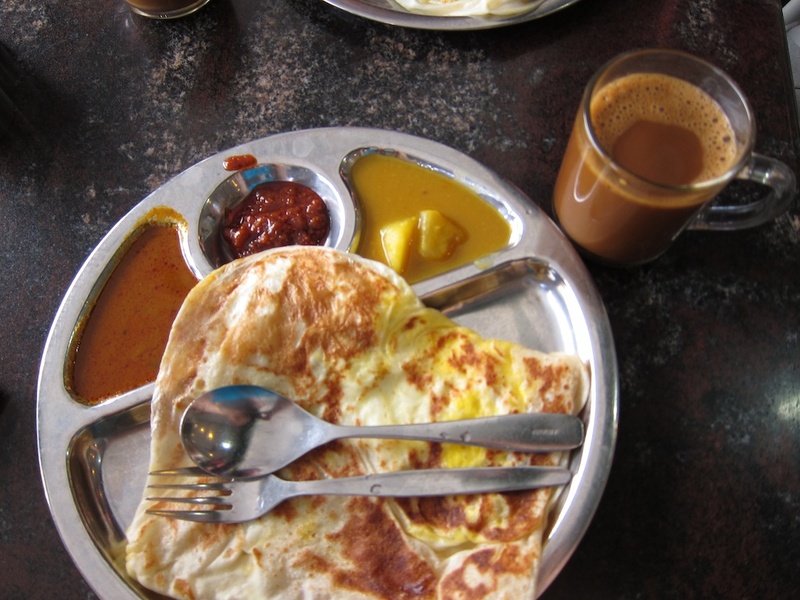 This was the Roti Canai Thelur we devoured while out for breakfast at an Arab restuarant which, strangely, seemed staffed completely by Tamils! 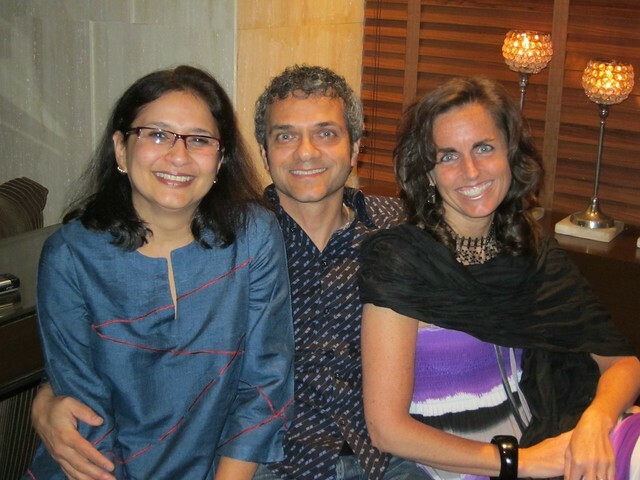 That evening we were taken to an amazing Diwali party hosted by friends of Robert & Hootoksi’s. 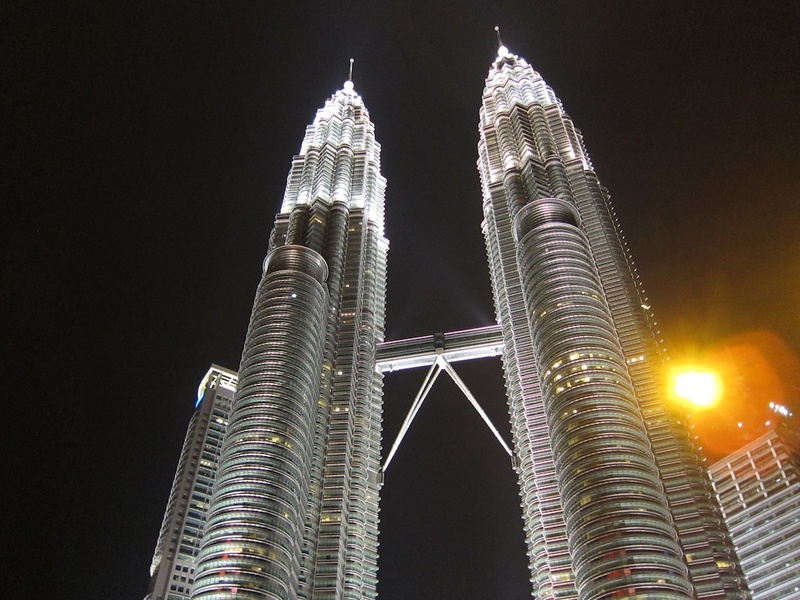 On the way in, we had an amazing view of the Petronas Towers (for a short while, the world’s tallest buildings). We met some really terrific people there including a member of the Malaysian Royal Family, the head of Citibank in Malaysia (the host), a fellow who is establishing palm oil plantations in Uganda and someone who’s heading up 4G (ie. the fastest cell-based data network)… All interesting and accomplished folk – we had a great time. The crazy coincidence was that the cell network guy knew my best friend from school in Darjeeling and his sister is married to a guy who I was about to meet in Calcutta! 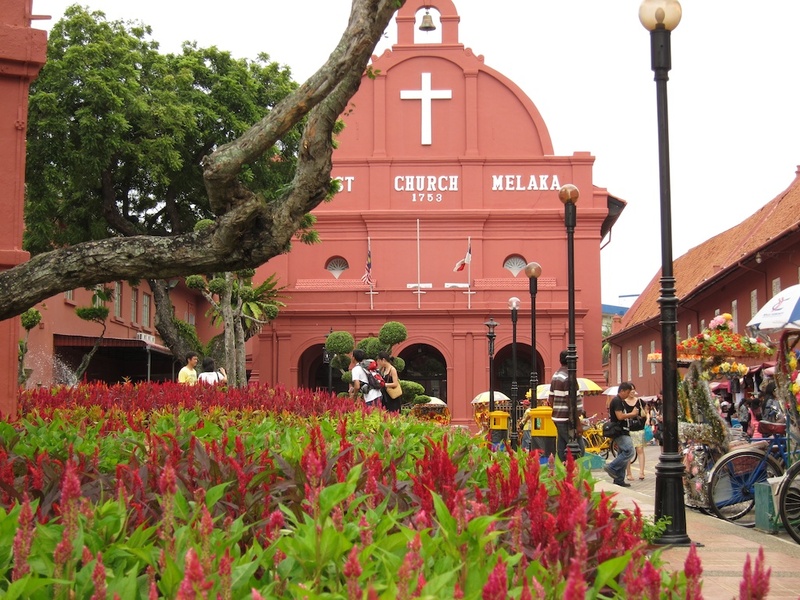 Our one excursion out of KL was to go to Malacca – a former pirate base in the not so good old days! Where you have water and pirates, the inevitable conclusion is that you absolutely must have boat tours. Don’t ask me, I don’t make these rules! The city, in turn, had been colonized by the Portuguese, the Dutch & the English and the result is a town with some amazing architecture and, for some unknown reason, flower-encrusted rickshaws (usually blaring loud music as they ferry their passengers hither and thither). 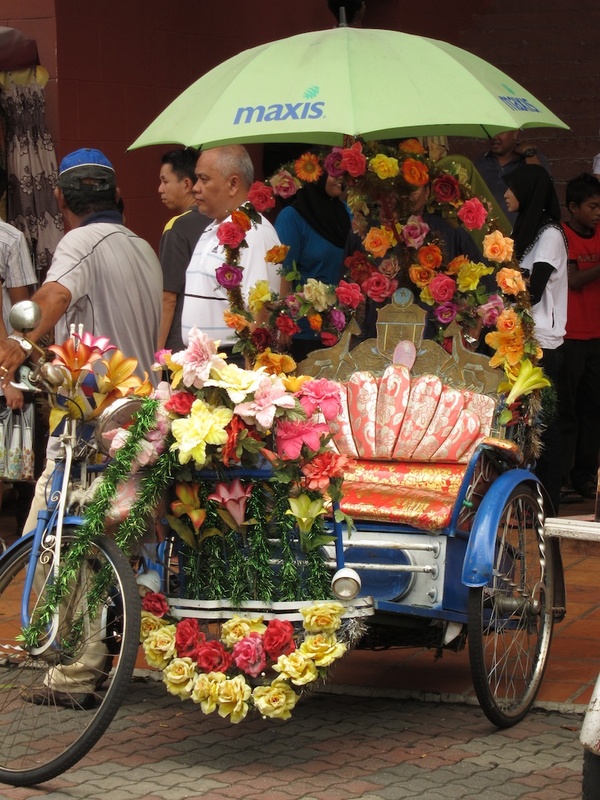 We left Malaysia on Monday being thoroughly impressed with everything we saw. The smiling faces, the scenery, the cleanliness, and the organization. However, the best thing was the hospitality and spending time with Robert & Hootoksi. We will miss it all! PS: For all the Malaysia pics, check out my FlickR album. 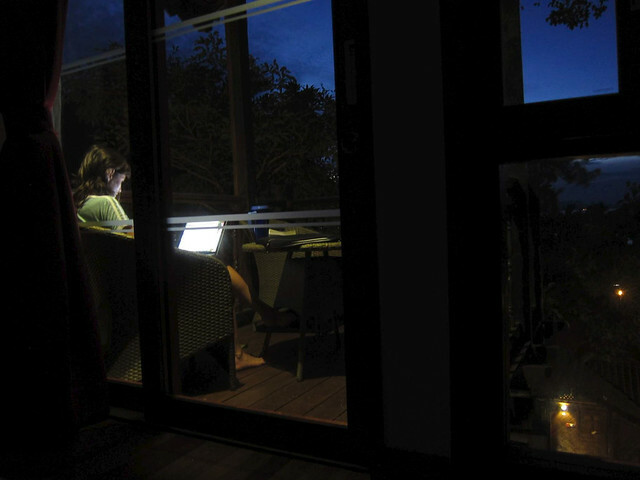 Some people will insist on blogging at the craziest hours…while, other, more sensible folk, prefer to be maximizing the amount of shut-eye! Back to the subject at hand, I have to admit, the best thing about China Eastern Airlines was the magnificently quick check-in line which, on first viewing, looked like it would take hours! What followed, including iffy food and Chinese (understandable) & Bollywood (???) movies on a screen that must have been 20 feet away…not so good (try reading dim subtitles at that distance). I think I managed a couple of hours sleep on the 12.5 hour flight while Brita snoozed and snoozed and snoozed! 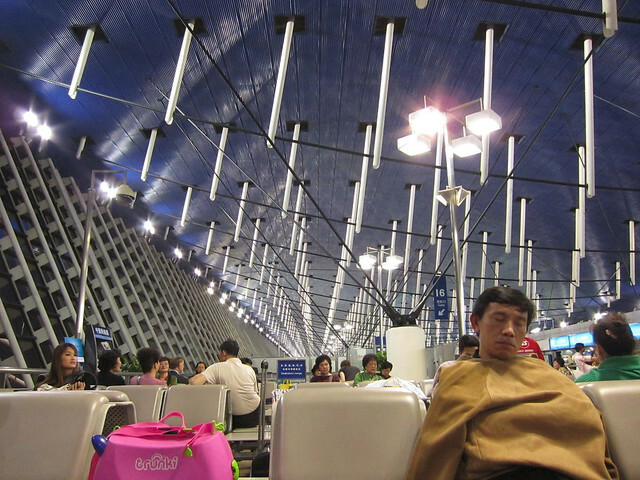 Feeling a bit woozy, Shanghai’s airport, which on other occasions would have seemed a very cool design exercise, gave me the impression of the thought police zapping my hapless brain with long electrodes! Given that both Twitter & Facebook appeared to be blocked (at least at the airport)…who knows!!! 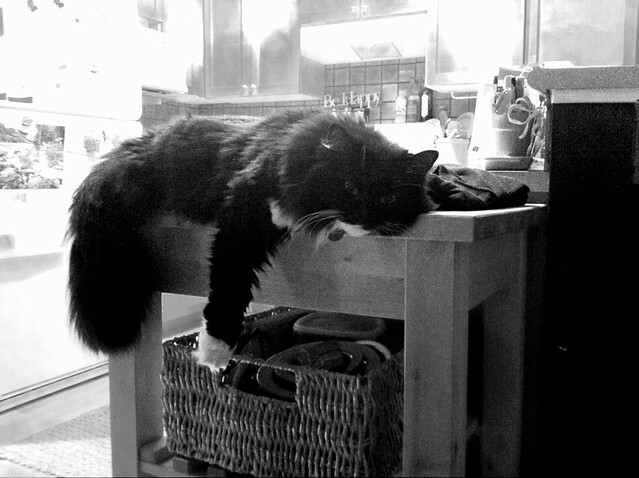 I was somewhat placated in my mental meanderings by the sight of this extremely non-fussed local…. Now, here I sit 3 days later and all worries about mental infiltration have vanished (maybe). It’s actually a thundering, but warm, warm monsoon deluge outside and I’ve just returned from sprinting out there and dancing around in it. It was glorious but, one would understand, if the mental questions might persist in the non-biased observer! 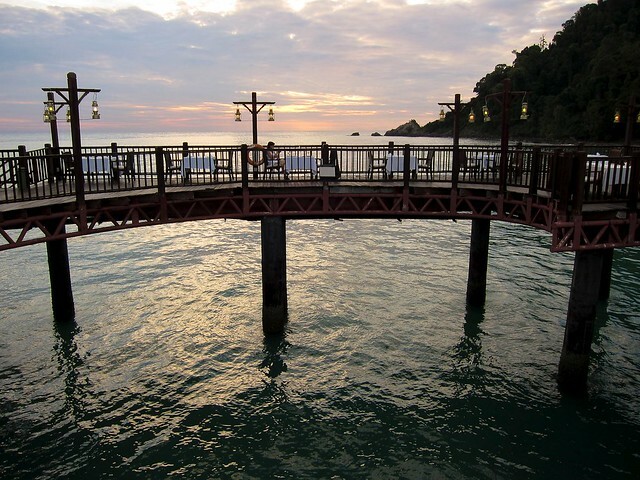 We’ve had some glorious days at the Berjaya Resort, located on Langkawi’s southern coast. It’s been in the low to mid 30’s celsius every day and a nice variety of sun and cloud (you need some of that at this temperature! )…and now the afore-mentioned monsoon. We’d, initially, been put into a regular chalet but we were a bit disappointed – it was quite dark and looked like the fixtures had been there since the 1980’s. However much I have fond memories of that decade, I prefer the memories not the reality in the here and now! 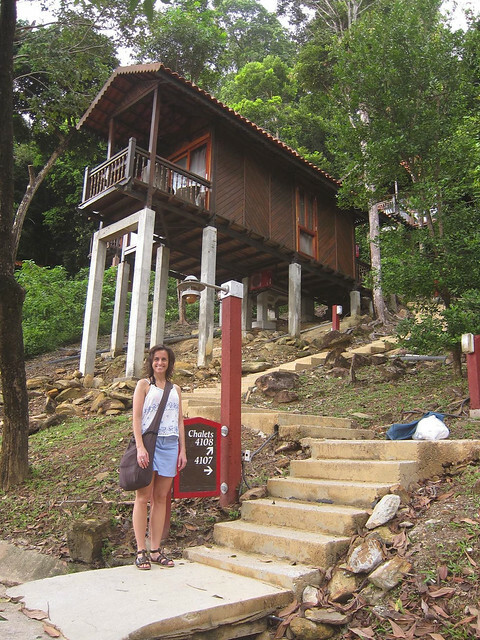 So..for an extra $25/night, we have a fabulous “Rainforest Chalet”, recently updated, with the perfect combination of having an ocean view while still being surrounded by jungle. If any of you come here (and you should), make sure you get an updated chalet…it’s well worth it! Being in a jungle, one tends to fraternize with our distant cousins – ie. monkeys (yeah, yeah…creationist types cover your ears)! Everyone needs a holiday so it’s completely understandable that Malaysian monkeys are in as much need of a bit of R&R as anyone else – who are we to make judgements! So…we’ve been getting quite used to waving to families of these guys coming and going, up and down the road, swinging from tree to tree, playing on the jungle gym…makes me wonder whether a tour bus of them arrived recently. However, even though all is very civil between monkeys and humans, there is a general view that monkeys, being the Rap Stars of the animal kingdom (they love shiny, blingy things) need to be kept out of the chalets. So…warning sings everywhere! What more can one say about a few days at a resort? We ate, we drank, we swam in the ocean, some of us danced in the rain, we went to the spa…that about covers it! It really is quite gorgeous on this island – these couple of pics are at the Thai restaurant at the far end of the property. That’s Brita…checking Facebook in the middle of the first pic! You can see an aerial view of it sticking out into the ocean from an earlier post here. The only minor frustration (applicable purely to those of us who need to be connected to our social world at all times) is that the wi-fi speeds at the Berjaya, assuming you’re not being disconnected every 5 minutes, make me nostalgic (not!) for the days of dial-up, circa 1996. But seriously, you might be thinking, you’re at a resort…who cares! Well, you’d be quite right – it just took a couple of days of decompression and a trip to the spa yesterday, for me to report that wi-fi speeds are now mere piffle to me and that they can go on at 2kb/s ad infinitum for all I care. I can also report that I’ve now been scrubbed, wrapped and pummelled and have emerged squeaky clean, flexible enough for yogic exercises, and generally pleased with the world! In the middle of all this serenity, we received some good news and some bad news from Dr. Banerjee. The good news was that the long lost wire has finally been found – so hooray for that! Always nice to know that large quantities of cash are not careening around, homeless, somewhere in the vast array of the ICICI banking world. The bad news (especially for Neha) is that she has contracted Dengue Fever so will be unable to be our surrogate! There seems to be quite an outbreak around Delhi (and perhaps other places in India) but, I hope, given the monsoon has now ended, that it will abate. Between a cousin of mine and one of the Canadian gold medallist swimmers getting it, this is clearly not a parasite that differentiates between rich or poor or on the basis of fitness level. Dr. Banerjee, fortunately for us, has another surrogate whose cycle will match up to our schedule and is going to be sending us her details soon. I have no idea what happens if a pregnant woman gets Dengue…but it is a bit of a worry going forward. We can only do what we can do….and ask all the questions we can think of when we have our initial meeting on November 9th. For now, I’m not going to worry about it because that would defeat the purpose of this mini-holiday before we get to India! Now, a final comment on Malays generally (obviously, a huge generalization): I don’t think I have ever experienced this level of friendliness by almost everyone we meet – anywhere! The resort staff, one can understand, as it’s part of their job (not that that seems to necessarily be true at other hotels/resorts I’ve been to) but it seems to be universal – from taxi drivers to gardeners to sentries. It’s amazing how pleasant interactions with people make you want to return (perhaps it’s an insidious tourist ministry plot!) over and over again. If Malaysia wasn’t such a long flight, this would be my preferred mid-winter holiday destination, no contest! We’re catching our flight back to Kuala Lumpur this afternoon (hope the torrential downpour stops before that) and will be spending the next few days with my cousin Robert and his wife Hootoksi. They’ve decided to retire to Malaysia after spending many years with UNICEF and living all over the world (including Bhutan, Yemen & Tanzania). Given a quick viewing of Robert’s website, they spend most of their time hosting guests! 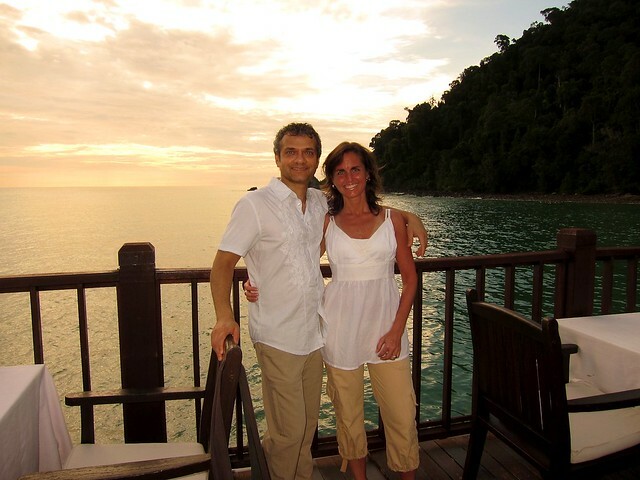 Having seen Robert & Hootoksi a few times over the years, it is clear that Malaysia was the obvious choice for them. 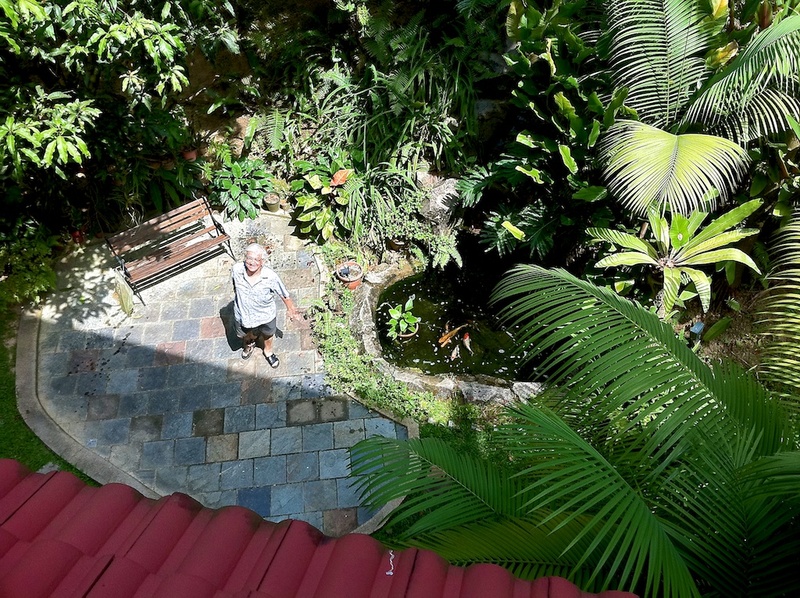 Given their amazing hospitality and friendliness, them retiring to Malaysia was like taking ice to the Eskimos, coals to Newcastle, rain to Vancouver….you get the drift! For two people who are generally supremely organized (well…actually..really…that’s just Brita), we’ve been running around like two headless chickens over the past two days. To put a finer point on that, here I sit (20 mins before we have to board) trying to zip out a blog update, lest I be accused of blogging intransigence! A quick mention of our experience with invading news crews on Wednesday. It really was a great experience, even though we were both a tad nervous. It’s quite incredible how one can feel completely relaxed (even with the interviewer sitting across from you) but, as soon as the “red light” goes on, the light in your brain dims (just a wee bit). Neither Brita nor I can remember many of the details of either the questions or the answers now….so we’ll be as surprised as anyone else when it airs! I do have to say Mi-Jung Lee and Steve were great – they did their best to make the whole experience as easy-going as possible (except I’m still laughing at Brita sweeping fallen leaves in her 4-inch heels – Hah!). Who knows what will happen if we’re followed by a crew in Delhi or we magically appear via Skype video during the newscast. I shall have to wear something I packed (while being filmed) or the “continuity” police might be after me! I was hoping that the kitty parade would be all morose and sad as they observed suitcases being strewn all over the place. Au contraire! Between falling fast asleep in them at various points over the past few days and generally appearing not to give a meow, they’re clearly very relaxed at the thought of being taken care of by our super kitty-sitter, Leigh! 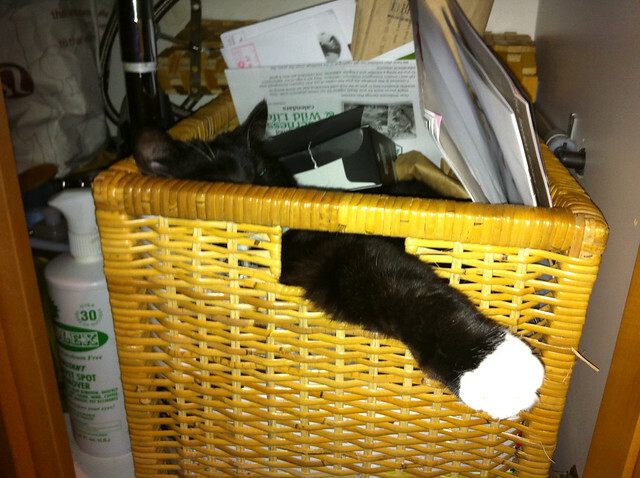 There was even some resistance at the prospect of the recycling going out – the box was clearly meant for other purposes! Getting organized for 5 weeks away is a bit of a crazy prospect – not quite the same as when I went on extended trips at the age of 19 (didn’t have to worry about thing left behind at all then). Fortunately, given we’re hanging out at Percy’s and couldn’t imagine being taken care of better in Delhi (or in Kuala Lumpur, for that matter), it’s not like forgetting the odd thing is going to matter much. Boarding awaits…and the adventure begins! I’d better quaff down that glass of wine that Brita just set in front of me. Now, that’s an excellent wife! To Malaysia with us….